Who knows how many times browsing through a book or calendar on Tuscany you were left enchanted in front of an image of green rolling hills of such an intense color that left you marveling at the great photographer or at at least at the great skill on touching up those photos. The truth is that neither is absolutely necessary to experience such scenery! Val d’Orcia, commonly portrayed on calendars and postcards of Tuscany, is splendid just like that, with incredible landscapes, intense green and yellow hues and stone villages sitting atop hilltops that take your breath away. This past week we spent two days in the beautiful Val d’Orcia, visiting the towns of Pienza, San Quirico d’ Orcia and Montalcino. On Sunday the 7th, Pienza hosted the closing day to the traditional Fiera del Cacio, a festival dedicated to cheese and, in particular, to the tasty pecorino cheese made in Pienza and in Val d’Orcia in general. 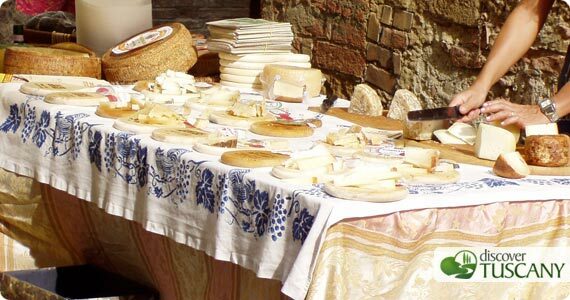 The small village streets were set up with stalls that offered tastings of cheeses as well as other typical local products including cold cuts and honey. A real paradise for foodies such as ourselves! In the afternoon we saw the town’s historical procession and the fun and popular “Gioco del cacio al fuso“, or the cheese around the spindle game! In this game, the four contrade of Pienza challenge each other in the roll of a whole round of pecorino cheese in the main town piazza (right in front of the Cathedral… even if the game has little to do with spirituality!). In the piazza, a “fuso” or wooden spindle is set up and around this, various circles are drawn, each one worth a certain number of points. The players of the various contrade push the pecorino to a roll around the spindle and get the points where the cheese round stops. The skill most sought after is the ability to make the cheese roll around the spindle at least once before stopping since this doubles the points the contrade gets on that roll. Naturally the contrade with the most points wins the game. The atmosphere in the town was very cheerful and, between cheese tastings, we were also able to visit the most important sights. We heartily recommend a visit to Palazzo Piccolomini where the entrance ticket also includes a very interesting guided visit. The palace was the seat of Pope Pius II, a native of Pienza who transformed Pienza into an “ideal town”, a project entrusted to the worthy Rossellino. In just three years, from 1459 to 1462, Pienza was transformed into the most beautiful Renaissance city we still admire today. 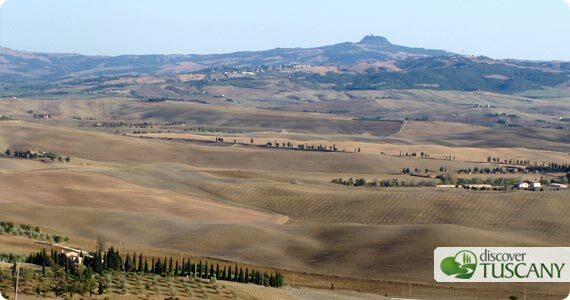 Just 10 km from Pienza, about halfway between Pienza and Montalcino, is the small but gracious San Quirico d’Orcia. We spent the night there at the La Dimora del Poeta, a nice bed and breakfast even if some of the rooms lacked a bit of light. San Quirico is crossed by the ancient Via Francigena, one of the main arteries of communication during the Middle Ages between Rome and France. The following morning we visited the Sant’ Antimo Abbey, an imposing Romanesque church whose foundation is traced back to Charlamagne and the 9th century. The external visual impact of the Abbey is very particular: the complex is completely isolated at the bottom of a small valley, almost as if it landed there from the heavens. Sant’Antimo is managed by a small community of friars that join several times a day for prayer in the Abbey, singing in Gregorian chants. In the afternoon we visited Montalcino, famous for its production of the Brunello di Montalcino wine. 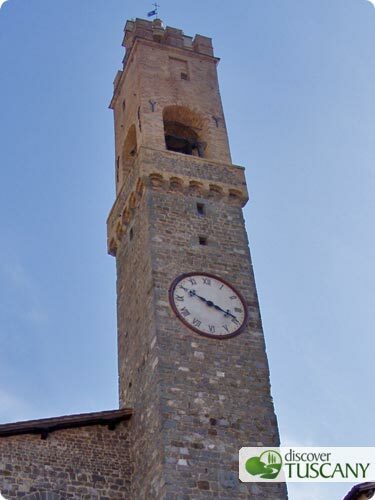 We had a nice stroll through the village’s streets including the Piazza del Popolo, the main square where you’ll also find the Palazzo Comunale, the Cathedral (unfortunately closed in the afternoon), the Church of Sant’Agostino and the Fortress of Montalcino. For anyone wishing to take a bottle of wine home, there is an embarassing wealth of options: many of the shops in the center offered tastings and the possibility to purchase a bottle of the famous Brunello as well as the excellent red wines of Montalcino.